Traylor joined the Razorbacks from SMU, where he spent the 2017 season as associate head coach/running backs. 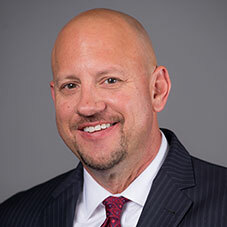 He served as the Mustangs’ interim coach following the Razorbacks’ hiring of Morris in December 2017. Before SMU, Traylor spent two seasons at the University of Texas (2015-16). In his first season in Austin, he coached tight ends and was named Scout.com’s Big 12 Recruiter of the Year. In 2016, Traylor coached tight ends and wide receivers for the Longhorns, who boasted the nation’s No. 16 ranked offense that averaged 491.3 yards per game. During his time in Austin, Traylor recruited punter Michael Dickson, who went on to earn multiple All-America honors, win Big 12 Conference Special Teams Player of the Year in 2016 and 2017 as well as the 2017 Ray Guy Award. Prior to Texas, Traylor spent 15 seasons (2000-14) as head coach at Gilmer High School in east Texas, where he had a 175-26 record with three state championships and two state runner-up finishes. Traylor’s unit totaled 2,223 yards rushing in 2017, highlighted by three players who rushed for 500-plus yards with sophomore Xavier Jones leading the group at 1,075. The Mustangs topped the 200-yard mark on the ground six times with a season-best 311 in a win against Arkansas State. At Texas, Traylor recruited punter Michael Dickson, who earned All-Big 12 honorable mention honors in , while the tight ends unit caught 22 passes for over 300 yards and two touchdowns. Dickson averaged 41.3 yards per punt on 77 attempts. Under Traylor, Gilmer High School reached the 10-win mark 11 times, while also recording seven 13-win campaigns. The Buckeyes posted 15 wins three times, all of which resulted in undefeated state championship years, including two 16-0 seasons in 2004 and 2014. In 2014, the Gilmer offense put up the second-most points in the history of Texas high school football with 950 in 16 games for an average of 59.4 points per game and won the 4A Division 2 state title. The Buckeyes scored 60-plus points nine times, including two 80-point performances. Gilmer also averaged 536.1 total yards per game (8,577) behind a balanced 293.9 passing yards and 242.1 rushing yards per contest. The defense was equally dominant, allowing only 276 points (17.3) with five single-digit efforts and two shutouts, while recording 23 interceptions and forcing 17 fumbles. Gilmer closed out the season with a win over West Orange-Stark at AT&T Stadium in Arlington, Texas, and had eight different players earn 4A All-State honors from either the Associated Press or Texas Sports Writers Association. Gilmer’s two other state titles under Traylor both came in 3A in 2004 (Division 2) and 2009 (Division 1), before the change in class structure in Texas high school football moved the school into 4A last season. After 15 years on its sidelines, Gilmer renamed Buckeye stadium to Jeff Traylor Stadium in Traylor’s honor. Prior to Gilmer, Traylor was an assistant coach at Jacksonville High School (1993-99) in Texas, where he served as passing coordinator, defensive backs coach, receivers coach and special teams coordinator. Traylor began his coaching career at Big Sandy High School in Texas, where he spent four years as an assistant coach from 1990-1993. After graduating from Gilmer High School in 1986, Traylor played football at Stephen F. Austin as a walk-on.